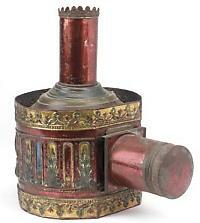 From candle flame to electricity and with bodies to die for, we present the evolution of the lantern in pictures. 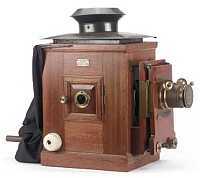 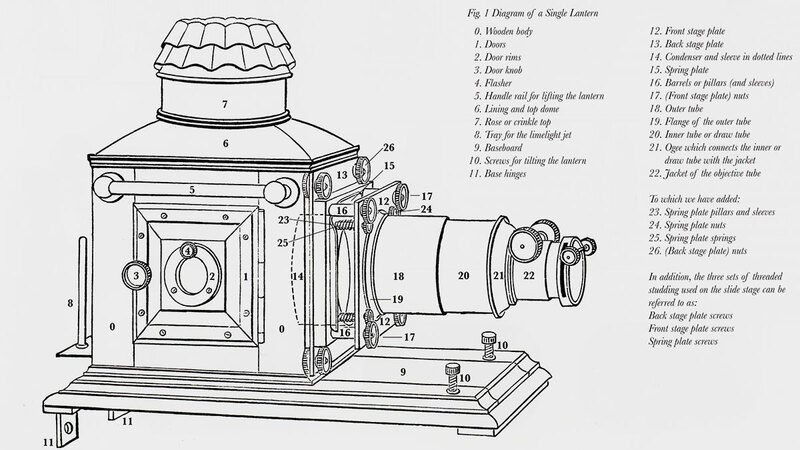 ...what is a magic lantern? 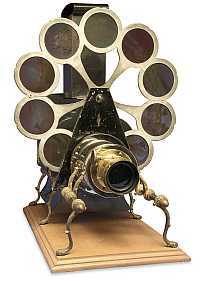 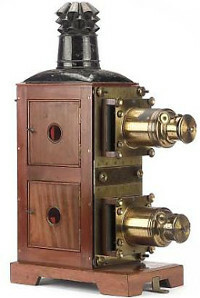 The optical lantern, probably more popularly known as “the magic lantern”, is an appliance by means of which transparencies are projected by artificial light upon a screen with the projected image having a diameter generally from thirty to eighty times greater than that of the transparency or slide, whilst the area of the image may be from one thousand to six thousand times as great. 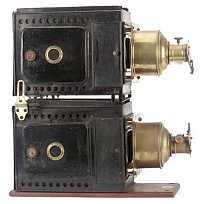 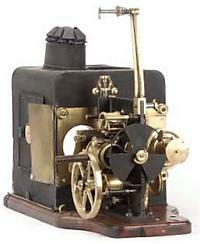 In 2003, Christie's of London auctioned the John Finney Collection of Magic Lanterns. 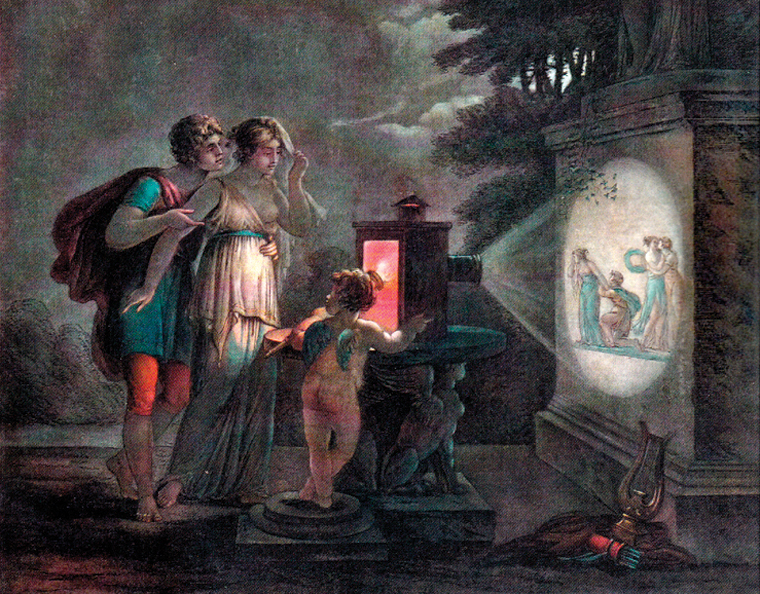 Formed by a Society member over many years, the collection represented one of the largest collections of Magic Lanterns in private hands. 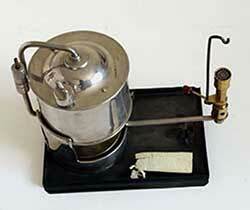 By kind permission of Christie's we reproduce here a selection of items from the extensive sale catalogue. 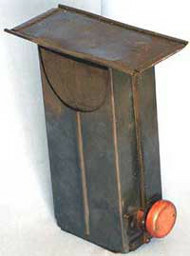 Each image below links to a selection of lanterns of the same type.